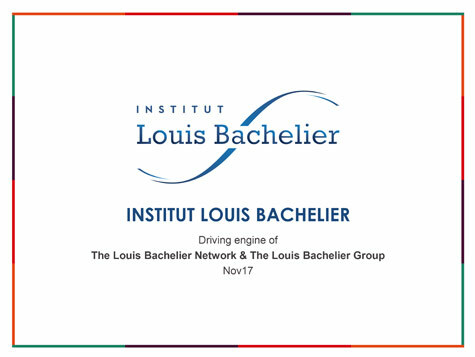 The Institut Louis Bachelier makes a point of disseminating the findings of its research programmes, in particular to regulators and companies. To this end, it produces two publications. 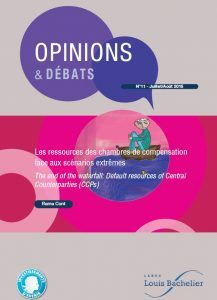 Launched in 2013, the Opinions et Débats collection addresses important topical economic and financial issues through presentation of the most recent research. It also provides recommendations with regard to public policy. 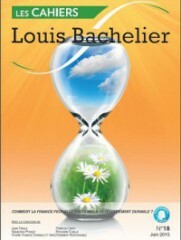 Published quarterly, Louis Bachelier Cahiers present the results of research programmes carried out by the Institute in language accessible to a wide readership. Scientific papers are summarised and popularized for dissemination to professionals, researchers and representatives of the public authorities. How is insurance risk management evolving ? How can finance support sustainable development?